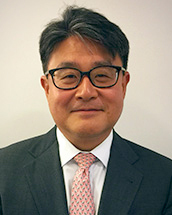 Huhnsik Chung is a Partner at Stroock & Stroock & Lavan LLP in New York City. He has more than 25 years of experience in handling sensitive, complex and high value contentious and non-contentious matters for the insurance industry. On the dispute side, he has served as lead counsel in more than 70 insurance, reinsurance and commercial proceedings in the U.S. and abroad and is regularly called as New York counsel in Bermuda form arbitrations. On the advisory and transaction side, he provides insurance regulatory and structuring advice related to M&A, ILS, credit enhancement and new product development. He also advises on compliance, policy wording, and regulatory matters involving various business lines and products. Mr. Chung is an AV Rated Fellow of Litigation Counsel of America, recognized as a New York Super Lawyer and is a frequent lecturer on insurance issues. Mr. Chung’s broad insurance practice focuses on matters related to the energy industry with an emphasis on oil and gas companies and utilities insured through industry mutuals and captives. He has advised on matters related to major disasters and catastrophic property losses, technology and media, privacy and cyber security, financial institutions, various toxic torts and environmental contamination, products and medical devices, professional services, aviation, life and heath. Prior to joining the firm, Mr. Chung managed the New York office of an AmLaw 50 firm.